This charger is a very small battery charger module. 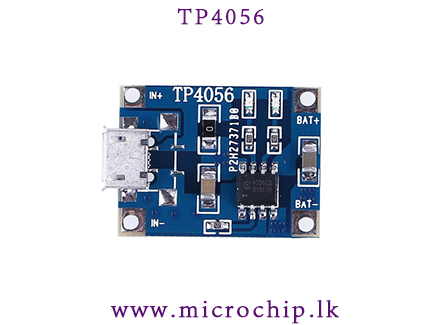 It uses the TP4056 controller and standard configuration is with 1A charge current. It uses a Micro USB for connecting the breakout board to any computer or ‘USB wall adapter’. It works with linear charging method. It offers 1000mA charge current by default but it is adjustable from 50mA to 1000mA by soldering a resistor. The default resistor soldered in on the board is 1.2K Ohm. It is recommended that when you charge a battery, the current(in mA) offered by the breakout board is 37-40% of the battery capacity(in mAh). For example, if you are charging a battery of 1000mAh capacity, you should adjust the resistance in a way that the current offered is approximately 370mA-400mA.